Here's the honest truth: You should be able to transport yourself to a luxurious spa every time you step foot inside your bathroom. All right, so it might not be nearly as big as a spa, and true, there isn't someone waiting to give you a deep tissue massage. But despite a lack of these resort-level touches, it's possible to create your own getaway within this private space given the right accessories. From a shiny soap dish and a matching jewelry holder, to a stylish shower curtain and a complementary hamper, these accessories will elevate your bathroom to a calm sanctuary. 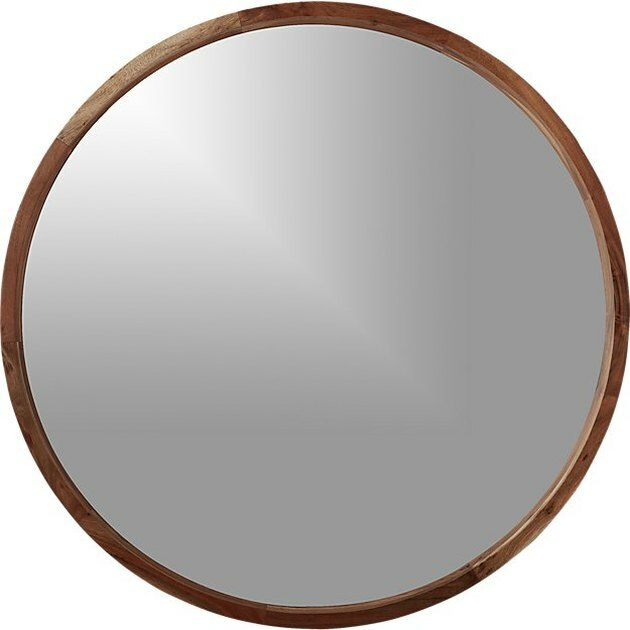 The variation from light to dark wood in the frame of this Acacia Wood Mirror ($299) means it'll match with just about anything you pair it with. 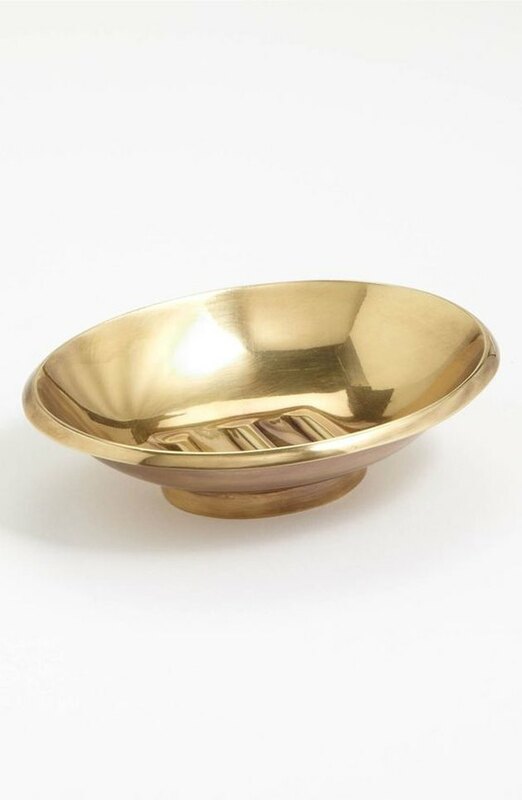 Give your bar of soap a chic place to rest with this shiny brass Waterworks Studio Soap Dish ($34.99). 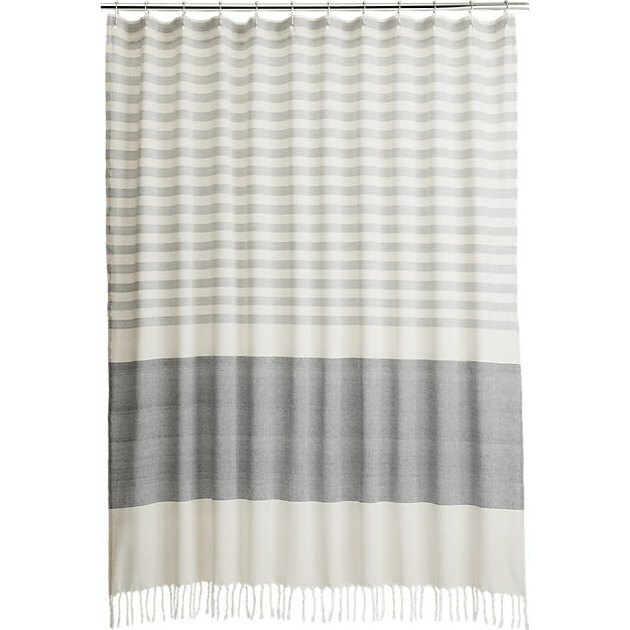 The Turkish-inspired stripes and fringe detail of the Karla Cement Shower Curtain ($49.95) will make this the unassuming focal point of your bathroom. 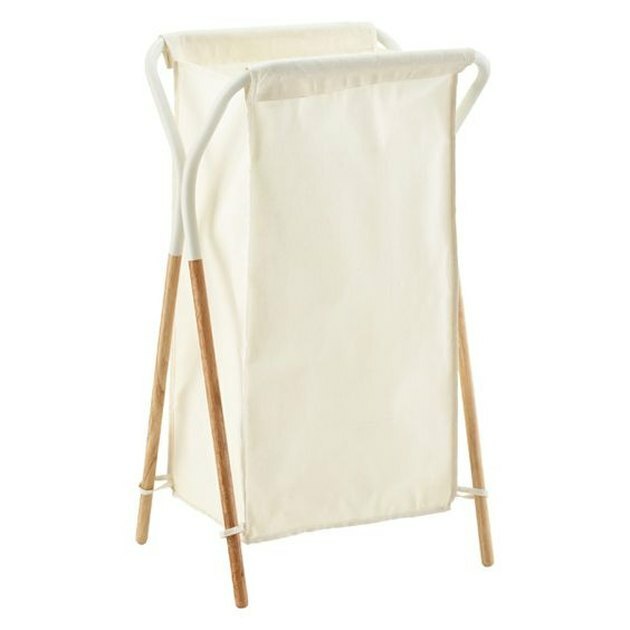 If you have to store your dirty clothes somewhere until laundry day, this Contrast Hamper ($39.99) is one you won't mind having out in the open. 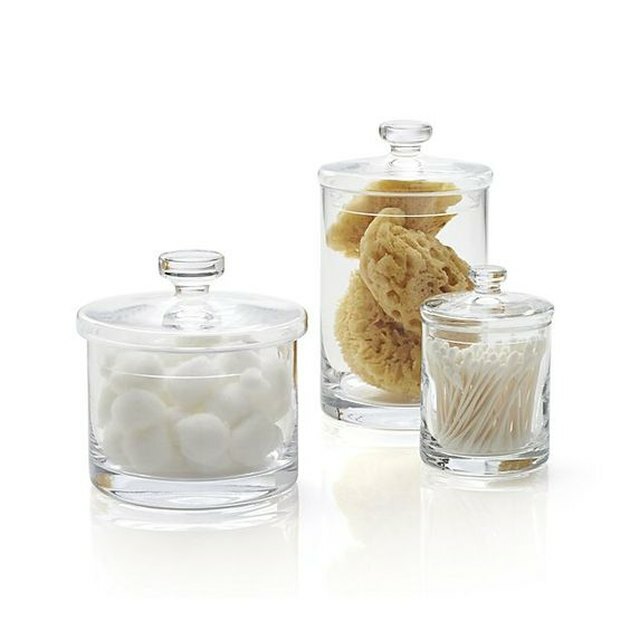 Make things easy for your nightly routine and store things like Q-tips and cotton balls in a group of these Small Glass Canisters ($16.95). They have a classic look that'll still look fresh years from now. Don't risk losing your ring down the drain! 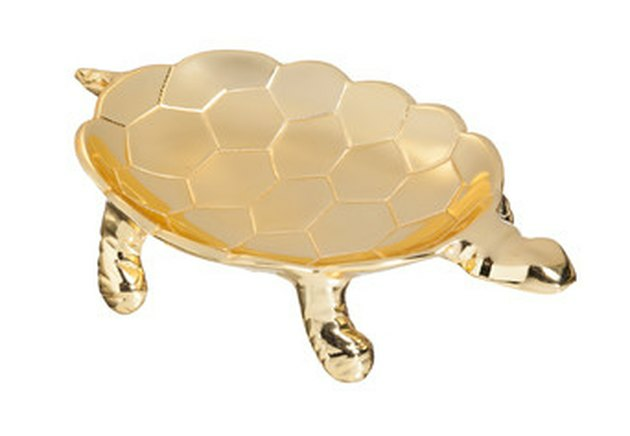 This Aluminum Tortoise Trinket Dish ($27.99) will keep it safe in a chic lil' shell. 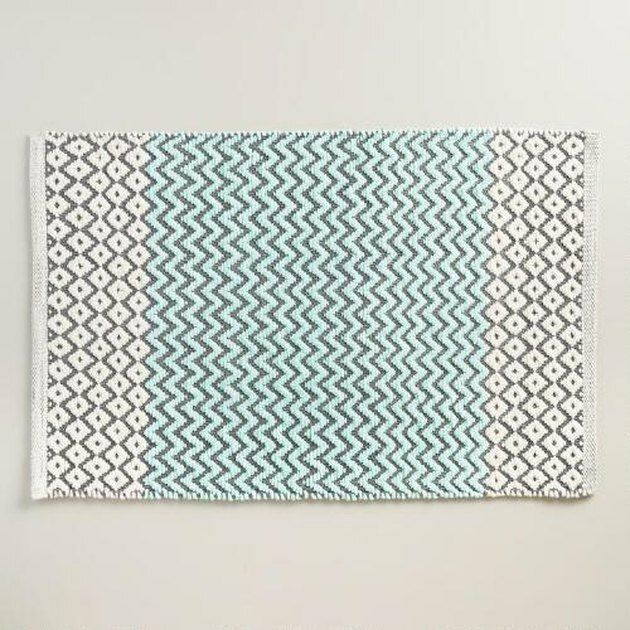 This plush Chenille Bath Mat ($14.99) will instantly refresh your bathroom by adding a hint of color and patterns to the space. 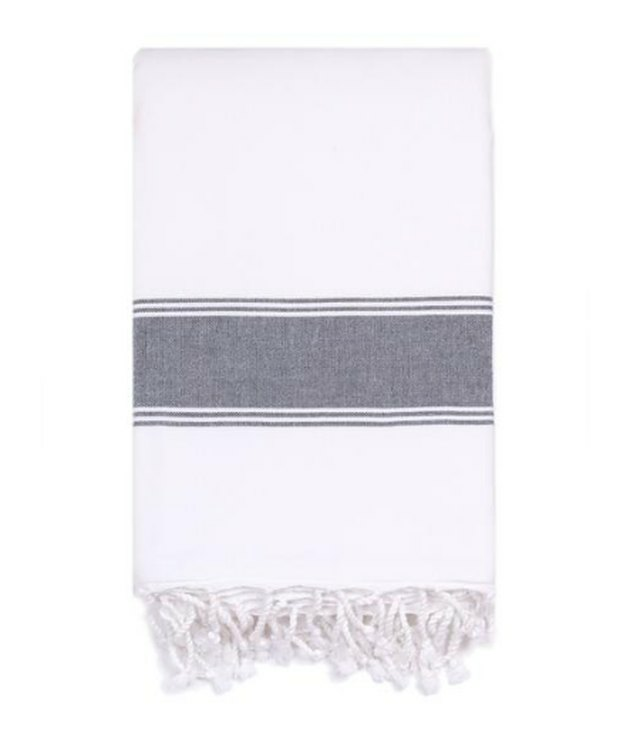 Once you feel how soft this Sea Cloud Turkish Bath Towel ($75) is, you'll wonder how you ever lived without it. 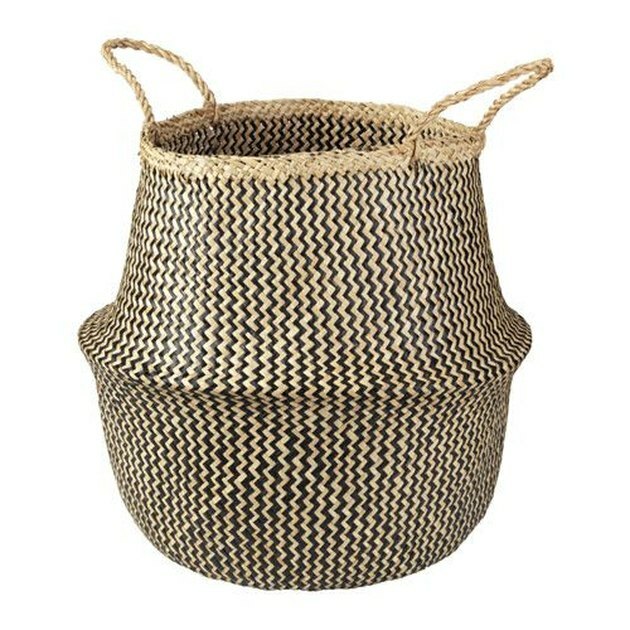 Fill this Seagrass Basket ($19.99) with extra linens, or a potted plant, and place it in the corner of the room. It's just the right kind of piece to bring a natural element into the space.